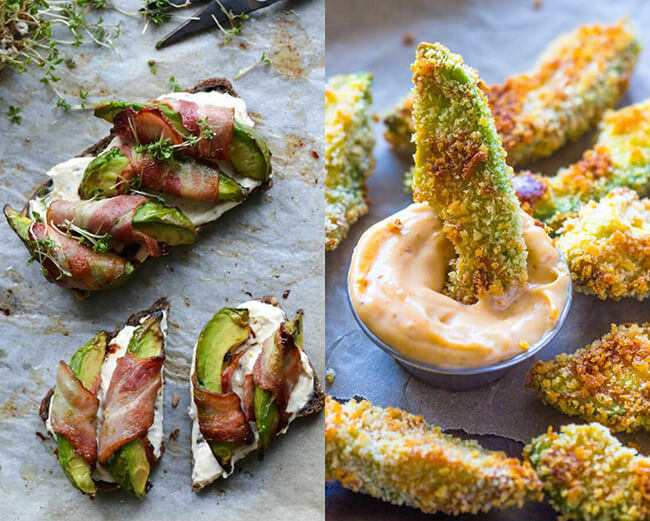 Avocados, those weird little green things that you either love or hate! Truth be told, I've only recently been a total avocado convert. I used to simply be a guacamole only type-o-gal and even then it had to be served with industrial amounts of tortilla chips. But now, I'm definitely a totally avocado obsessive and these little guys are a lot more versatile than you might think. 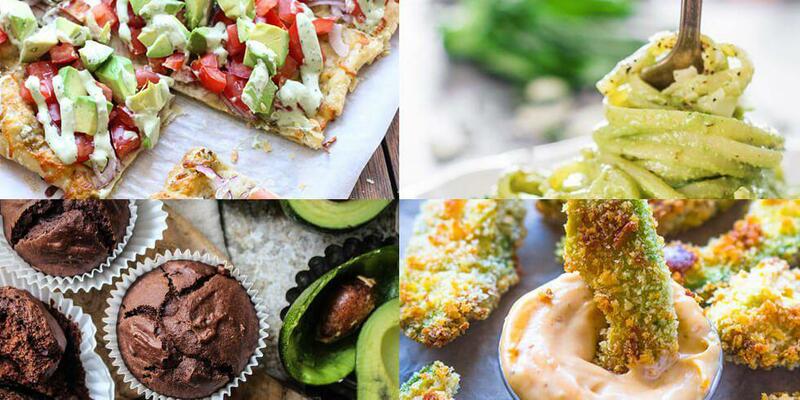 Here are 7 amazing recipes, both savoury and sweet, that you can whip up easily! I mean, you know that avocado toast is a thing but this recipe from A Tasty Love Story is something else! This is the step that you graduate to after guacamole, in my opinion. It's not too avocado-y if you're not a complete convert but you definitely get more of it's yummy nutty taste! I usually like my avocado mashed on toast with poached eggs usually but this A La Josephine version is all about wrapping avocado slices in bacon and layering them on some honey mustard cream cheese. Dreamy. I mean, who isn't interested in fries? These crispy bad boys are so clever and are perfect for adding some extra nutrients to a tasty snack. Try alternative avocado, sweet potato and normal potato wedges for a neat party snack! The recipe for these incredible fries comes from GimmeDelicious.com. Here comes the carbs section. 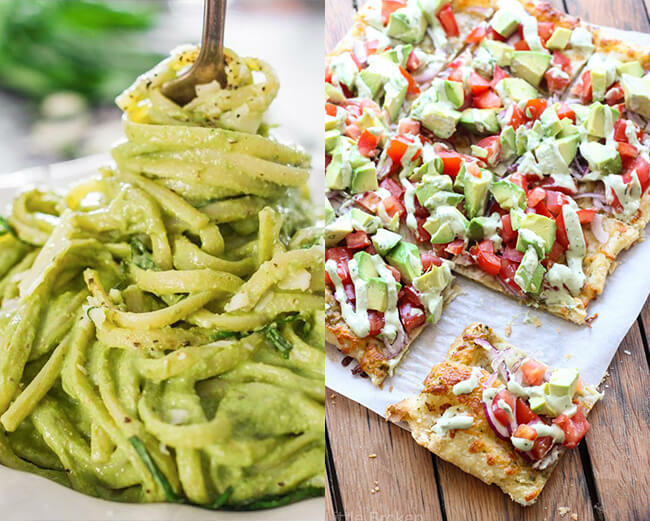 Yep, I'm talking pizza and pasta! First up this recipe uses the avocado as a really creamy sauce for spaghetti that would work amazingly with prawns or chicken. All you have to do is whizz up some avocado in a food processor with some spinach, basil and garlic and you're left with an incredibly creamy sauce. Pizza now, and this recipe from Little Broken just looks amazing. The base is a really thin layer of puff pastry which you can pick up from the supermarket ready made and you can then add whatever toppings you like. This one, obviously includes avocado, which you add after you've baked your base with a little cheese and some sauce. You could use tomato puree or pesto! Ok, enough of the savoury stuff. We need some dessert! Muffins, brownies and pudding to be precise. These vegan muffins taste so rich and luxurious and they're also really moist. They're almost brownie-like in the middle and are super tasty. I whipped up some of these at the weekend to give them a go. You'll see them in a blog post soon, but if you want a sneak peek, click here. 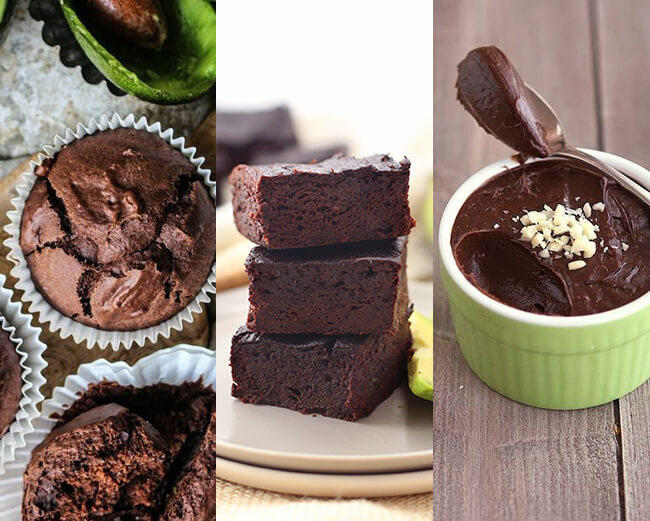 Who knew that avocados could be chocolate's best friend? These brownies from The Healthy Maven show that they definitely are! Plus, these are free of refined sugar if you use raw honey or maple syrup (the raw kind!) to sweeten. Finally, this recipe from The Iron You is a really decadent way of being healthy, well, healthier. The texture is really smooth and silky due to the avocado, it's texture really is one of the best things about it! This recipe only has six ingredients which makes it really easy to do. Plus, it includes those superfood powerhouses that are chia seeds, bonus!